Luna started life as a very sick kitten. She is very small in body for her age, but large in Spirit! She is love embodied. She adores all beings, her foster sisters and brothers, and especially her foster mom and dad. She seeks out snuggle time, wanting to be held close to the heart. 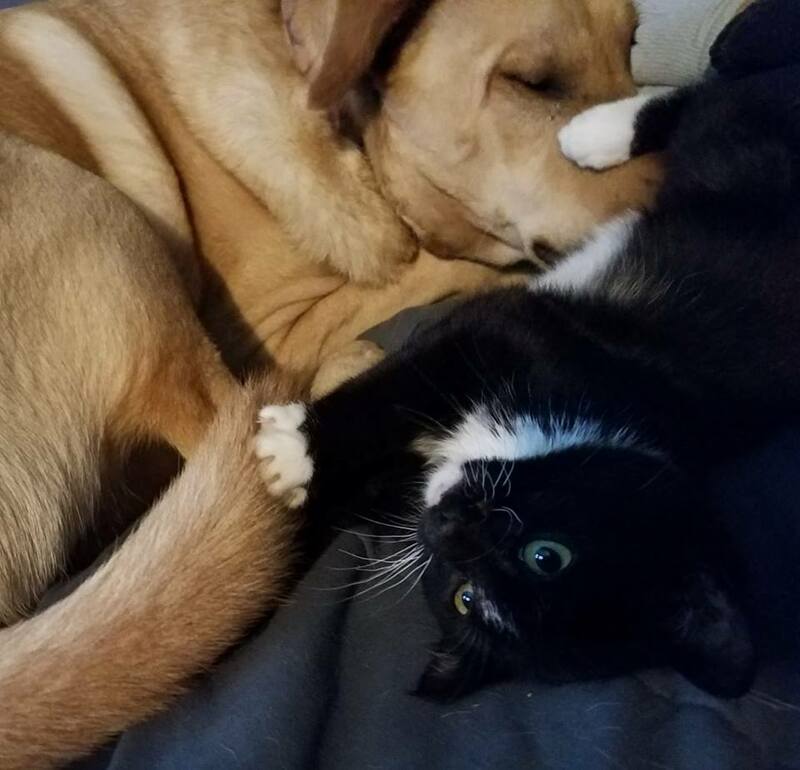 While she gets along splendidly with other cats, her true snuggle love is her doggie foster siblings. She will roll over like her dog brother and wants her belly and feet rubbed. She is wary of loud noises, but once they become familiar she takes them in stride. If you are looking for a sweet little moon kissed kitten, Luna is the girl for you!